We are proud to introduce you to the latest additions to our range of garden storage sheds. 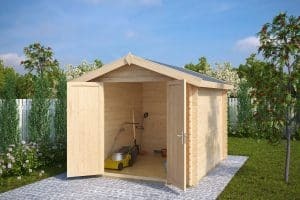 The new “Andy” line consists of four premium quality, large storage sheds, made from slow grown Nordic spruce. 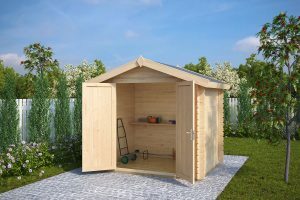 All four storage sheds come with sturdy 28mm thick walls. Floor boards, impregnated foundation beams, cylinder lock, wind braces and roofing felt are all included in the standard price! 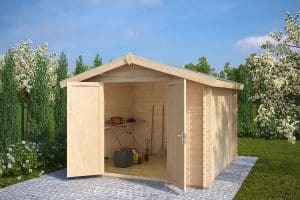 The smallest one, the Andy S, is 8’x6′ (2,5x2m) storage shed, followed by 8’x8′ (2,5×2,5m) Andy M, 10’x8′ (3×2,5m) Andy L and finally the largest one, Andy L with 10’x10′ (3x3m) external dimensions. 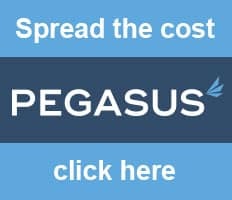 Take advantage of £100 off as an introductory price until 29.02.2016. 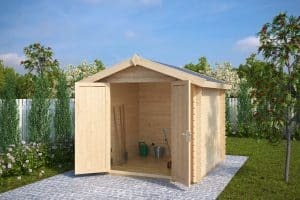 You can click here to see all our garden storage sheds. These four storage sheds are our first four log cabin models out of the 15 that we are going to launch within the next few weeks.